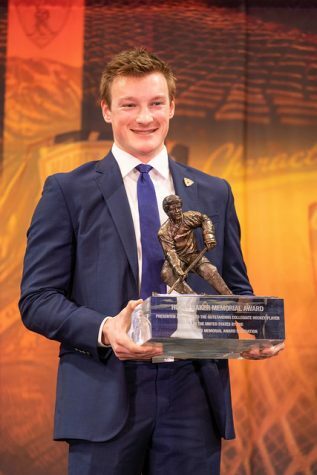 The 2009-10 regular season schedule for the Massachusetts hockey team is full of noteworthy opponents, many of which consistently carry their success into the post-season. 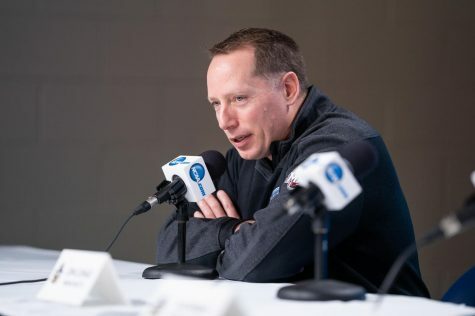 The Minutemen play six teams ranked among the top 15 in the country last season, including Hockey East Conference foes: New Hampshire, Boston University, Vermont and Northeastern. 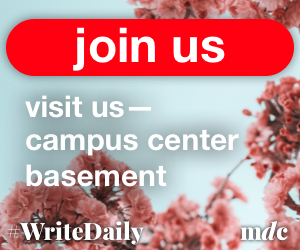 The Minutemen play their first three games at the Mullins Center after a home exhibition against New Brunswick in the team’s practice rink on Oct. 3. UMass will kick off the regular season on Oct. 8 when Rensselaer comes to Amherst for the third matchup between the two teams since the 1998-99 season – the Minutemen won both previous contests. 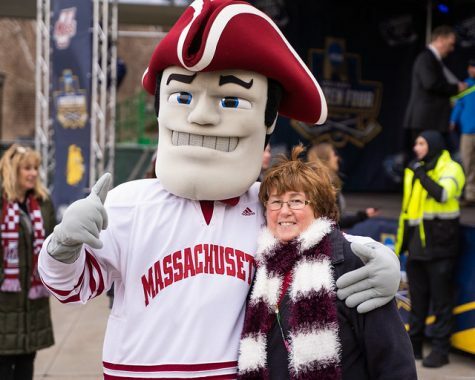 The Minutemen play its first road game on Oct. 30 against Providence before facing the Friars at the Mullins Center for the tail-end of the series in one of UMass’ most highly-anticipated home games of the season, its Halloween game. The Minutemen took two of three games against Providence last season, including a 9-4 thumping in Amherst during last season’s Oct. 31 matchup. UMass is 10-9-1 when playing a home-and-home series against the Friars dating back to the 1998-99 season. Niagara follows the Providence series as the Minutemen’s next opponent in the second of six home-and-home series. 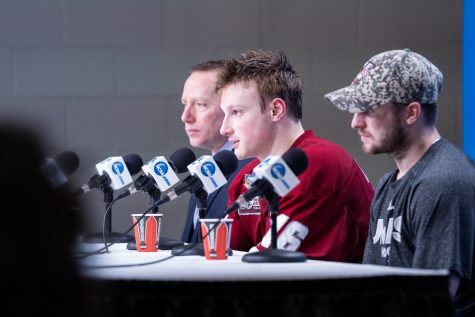 When the two teams last met, UMass beat the Purple Eagles, 6-2, at home. Next on the schedule is a home series against UNH starting on Nov. 13 before the Minutemen go on their first extended road trip of the season. 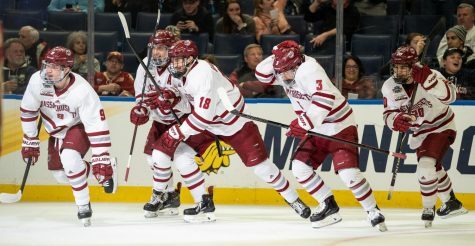 The four-game stretch has UMass seeing Yale, UVM, Quinnipiac and UMass-Lowell. UMass then returns to Amherst for a game against Merrimack before a 17-day break in the schedule. 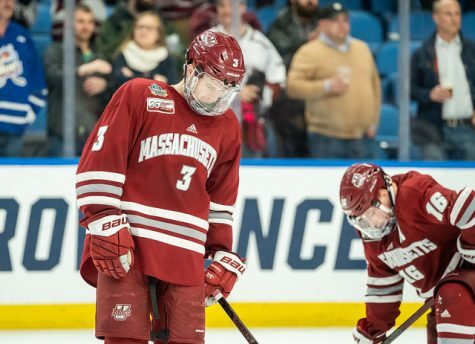 UMass will return to action on Dec. 29, when it travels to Storrs, Conn. to play in the two-game Connecticut Tournament. 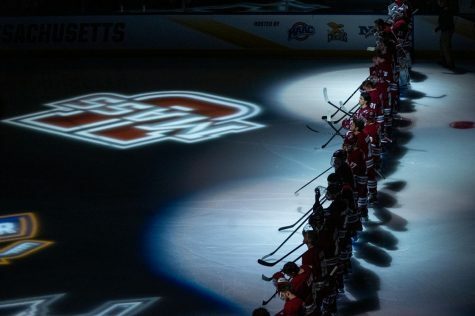 The five-game road trip continues for the Minutemen with games against BU, Northeastern and UNH, which finished top three in that order last season in the Hockey East. UMass finished last season’s conference schedule seventh in the conference with a record of 10-14-3. UMass hasn’t had two road trips of four or more games since 2004. After the conclusion of the second road trip that season, the Minutemen went 2-7, including three-straight losses in their return to Amherst. The Minutemen then return to the Mullins Center on Jan. 15 to take on UML, a team who UMass hasn’t beaten in Amherst in three seasons. The River Hawks swept the Minutemen at home last season, giving them two of their eight losses at the Mullins Center. After the second game of the home-and-home series against UML, UMass will return home for two games to take on UVM. The Catamounts rendered the Minutemen winless in all three games last season (two losses and a tie). 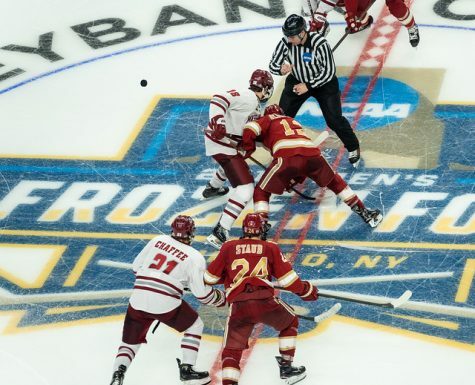 UMass will play BC three times and Northeastern twice in its final 11 games. 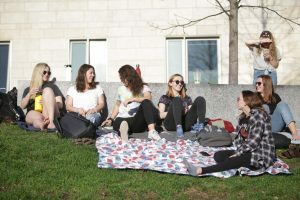 Not only are these games important because they have post-season implications, but the Eagles were four points ahead of the Minutemen in conference standings last season and the Huskies knocked UMass out of Hockey East championship contention with an overtime victory in the semifinals of the tournament. The Minutemen will conclude their regular season with an away series against Maine. Mike Gillmeister can be reached at [email protected].